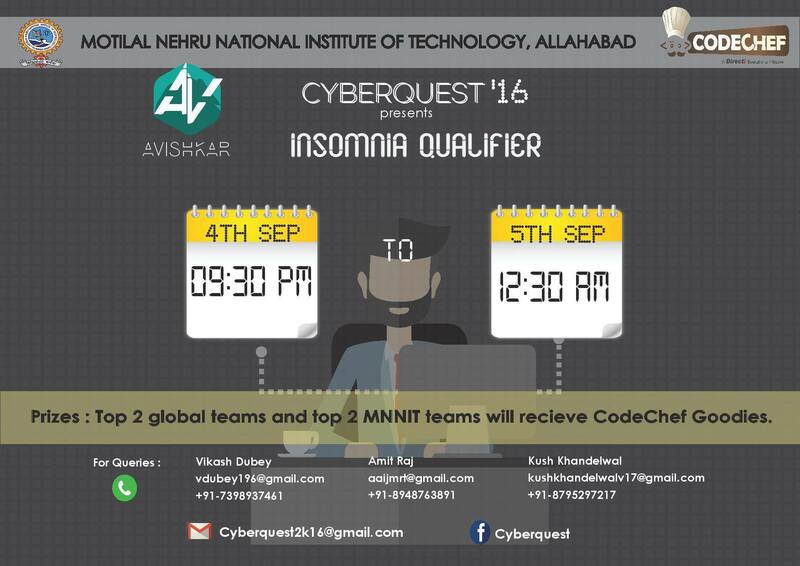 Organiser: The contest is hosted by Motilal Nehru National Institute of Technology Allahabad (MNNIT). Only C/C++ and Java programming languages are allowed in this contest. Please contact vdubey196@gmail.com for any queries during the contest. In problem INSQ16G , Flash and Zoom , the top left corner in the image should be (0,15) , instead of (0,20) as given in the image.